27 March 2018PITTSBURGH, Pa. – NEP Group, the leading worldwide outsourced technical production partner of premier content producers of live sports and entertainment, is exhibiting at this year’s NAB Show, weeks after successfully supporting multiple clients, including Discovery and its leading sports brand Eurosport, at the Olympic Winter Games PyeongChang 2018. Starting April 9, NEP staff will be on hand in NAB Booth 3714 in the South Upper Hall at the Las Vegas Convention Center to answer questions about its comprehensive set of broadcast, live event and media solutions used to cover over 100 medal events and 18 days of Olympic competition. Demonstrations of its media asset management tool, Mediabank, and NEP’s augmented reality (AR) capabilities will be available at the show. A virtual studio based in Hilversum, The Netherlands, for the fast-paced “Winter Games Today” live daily show on Eurosport 1 (Eurosport Benelux) and available for download through the Eurosport Player. Eurosport Benelux used the Hilversum virtual studio and NEP’s AR capabilities as a replacement for a real studio. Only occupying a physical footprint of 5×5 meters, NEP’s graphics teams transformed Eurosport’s coffee corner into an entire virtual set (the “green box”), including a virtual LED wall and a number of AR layered elements. An Oslo-based broadcast center built for Discovery Communications. 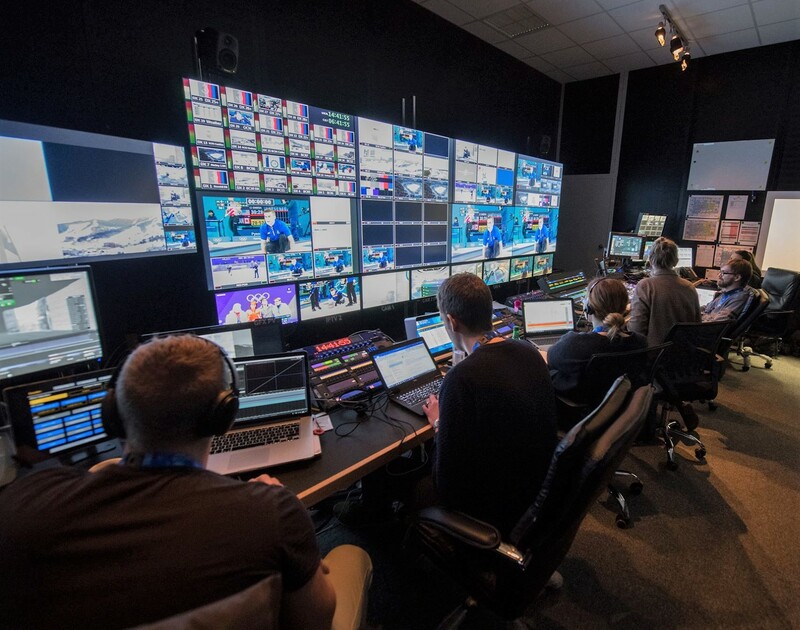 As part, NEP supplied studios and facilities with AR graphics to support the daily production of multiple shows: OL Direkte: Studio (“Olympics Live: Studio”), OL i dag (“Olympics Today”), and OL-Kveld (“Late Night Olympics”). NEP is headquartered in the United States and has offices in 22 countries.